The island developed in the Pacific Ocean four years ago. 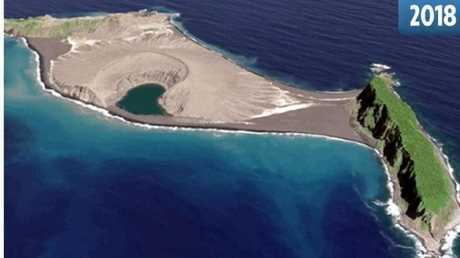 A MYSTERIOUS island that formed four years ago in the southern Pacific Ocean appears to be here to stay, according to NASA scientists. 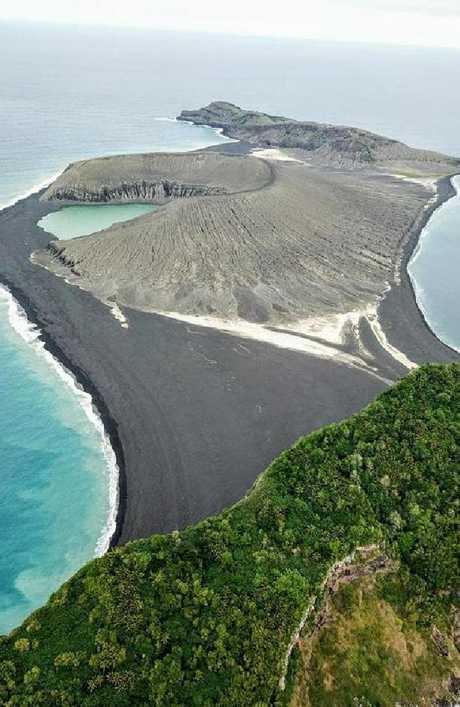 The island, which formed between December 2014 and January 2015, was caused by a volcanic eruption near the nation of Tonga, in between two older islands known as Hunga Tonga and Hunga Ha'apai. 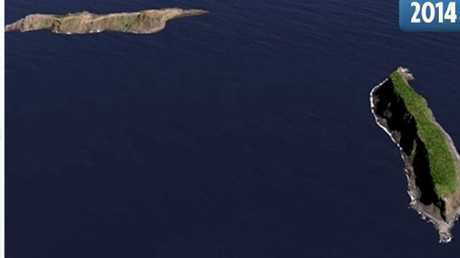 The new island was one of only three that had erupted in the last 150 years and "survived the ocean's eroding waves longer than a few months", NASA said in a blog post. The new island that developed in 2014. "We were all like giddy schoolchildren," said NASA scientist Dan Slayback of his visit to the island. "Most of it is this black gravel, I won't call it sand - pea-sized gravel - and we're mostly wearing sandals, so it's pretty painful because it gets under your foot. Immediately, I kind of noticed it wasn't quite as flat as it seems from satellite. It's pretty flat, but there's still some gradients and the gravels have formed some cool patterns from the wave action." Slayback continued: "And then there's clay washing out of the cone. In the satellite images, you see this light-coloured material. It's mud, this light-coloured clay mud. It's very sticky, so even though we'd seen it we didn't really know what it was, and I'm still a little baffled of where it's coming from because it's not ash." The island in 2014 compared with 2018. In addition to the mud, the researchers found vegetation on the island and even a few animals, including a barn owl and hundreds of nesting sooty terns. The team of researchers visited the island in October. After stepping onto the island, Mr Slayback and the team collected samples in an effort to understand just how long the island will survive. 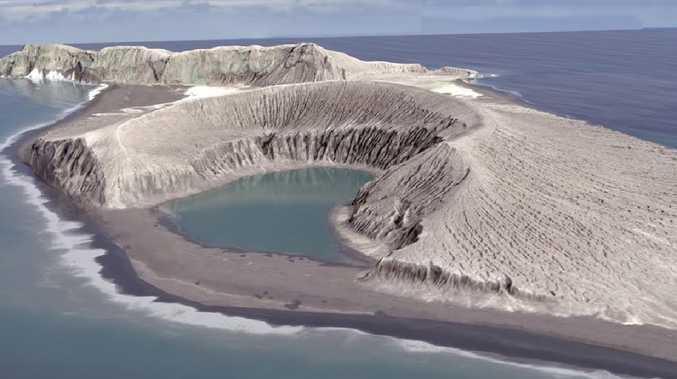 The island is of particular interest to NASA because it may be reminiscent of ancient Mars, giving the space agency ideas on how volcanic landscapes interacted with water on the ancient Red Planet. In 2017, NASA said it expected the island to last between six and 30 years.